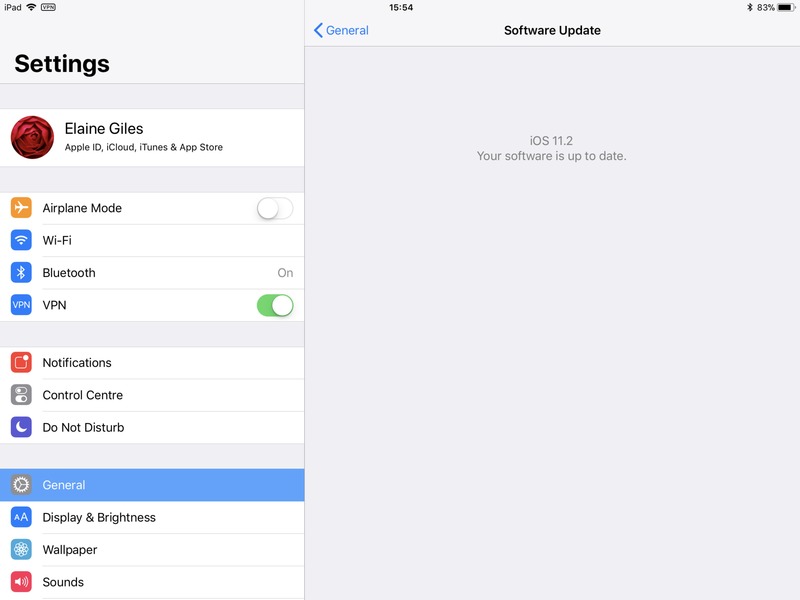 A guide to installing an iOS system update on your devices. 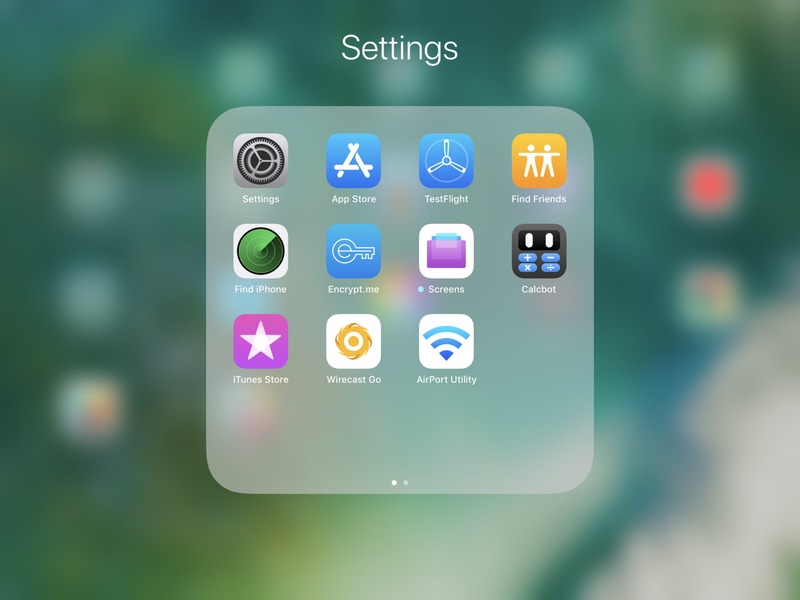 Locate and tap on the Settings app icon. 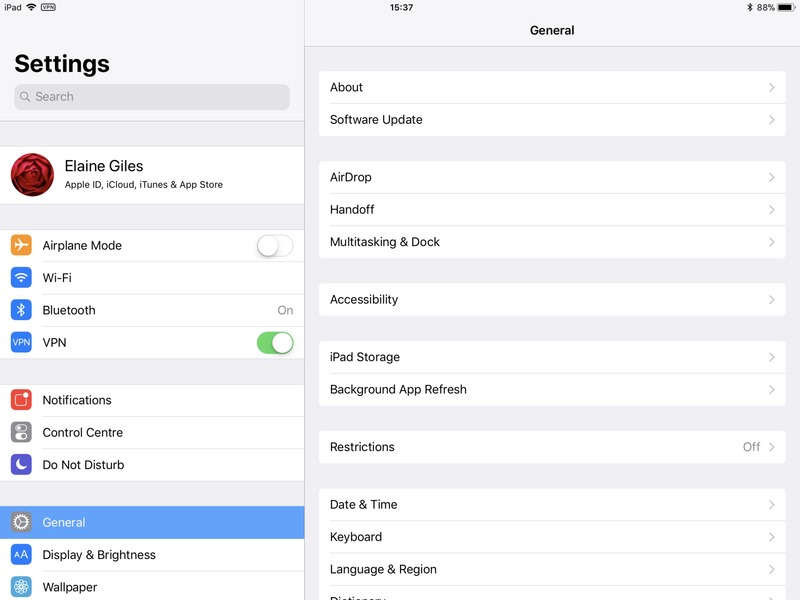 Within the Settings app, locate the General section. 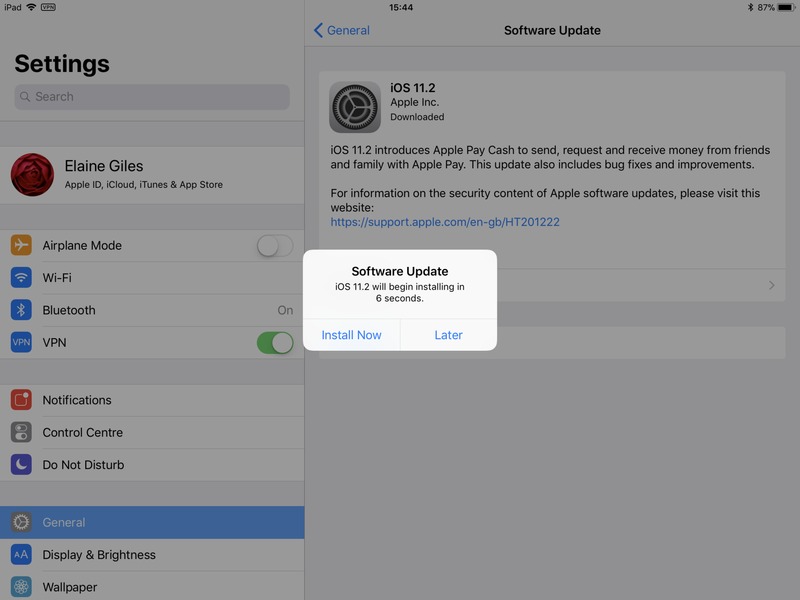 In the Software Update section the Download and Install option. You will be prompted for your passcode. The download of the update starts in the background. 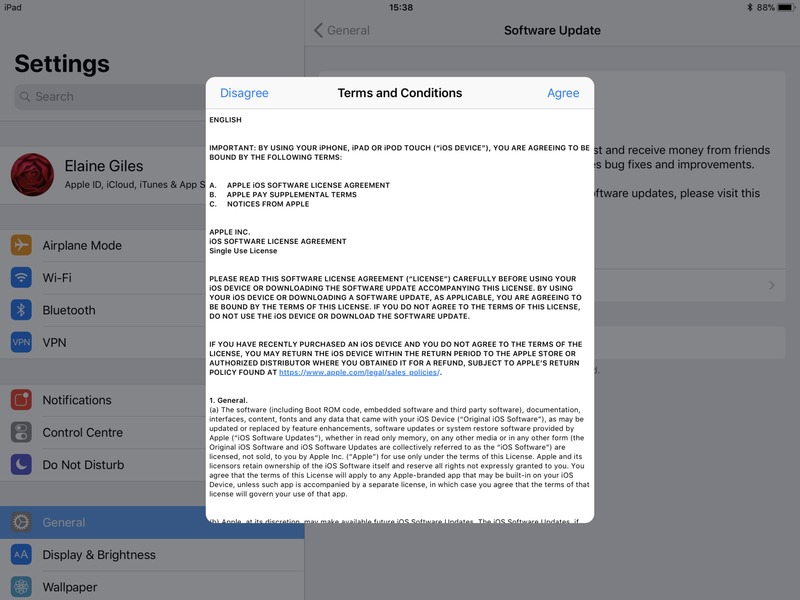 The Terms and Conditions will be displayed. Tap Agree to continue. A request for the upfate is then sent to the Apple servers. 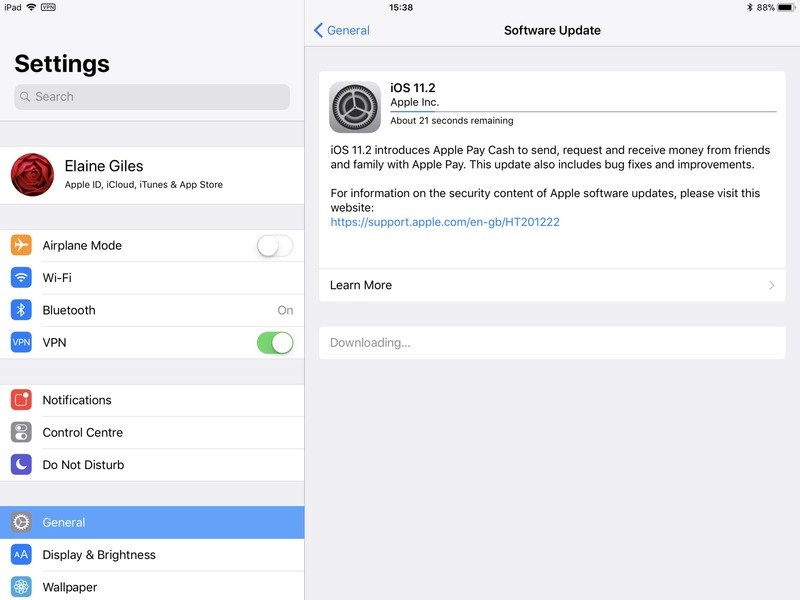 Once the request is received the update will start to dowload to your device. The update will go through several stages after it is downloaded. You will be prompted to begin the installation. Tap “Install Now” to install the update immediately or wait for the update to start to install automatically. Alternatively, tap “Later” to defer the installation to a later time. The first step of the install will be verying the update. Once the update is verified it will be installed and your device will be rebooted. 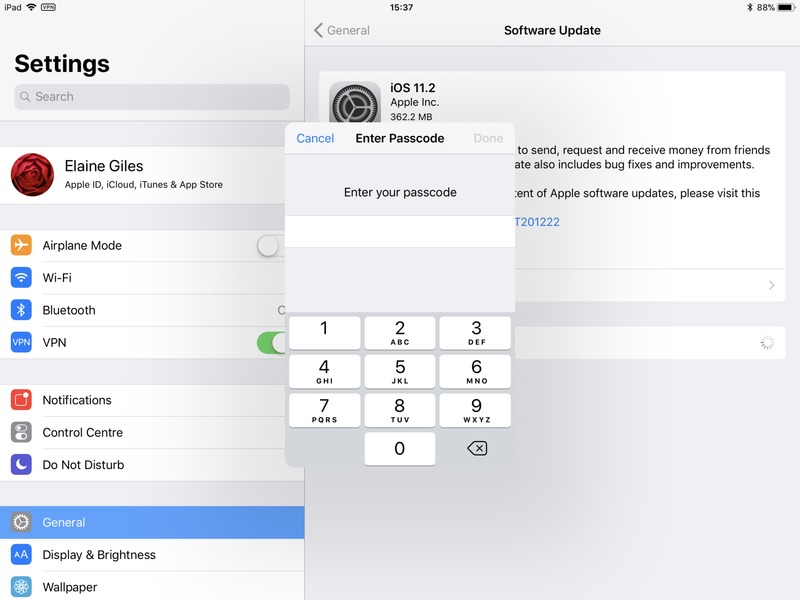 Once the device has rebooted, if you have a passcode enabled on your device you will be prompted to enter this. 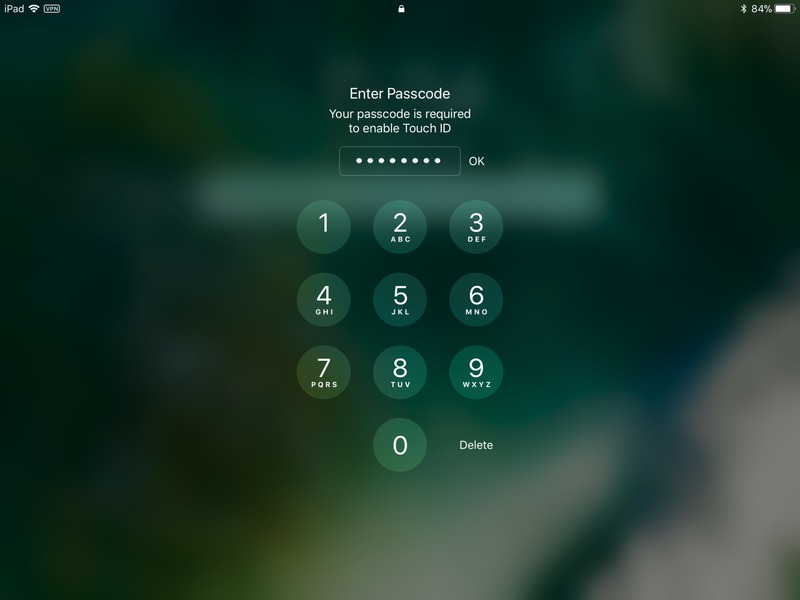 Enter your passcode and tap “OK” to continue. Open the Settings app and confirm your device is up to date.